$20 orchestra seating; free mezzanine and lawn seating with ticket. Tickets available at the Miller Outdoor Theatre box office the day of the performance between 10:30 and 1. Maximum of four tickets person over age 16. Non-ticketed seating on the hill. 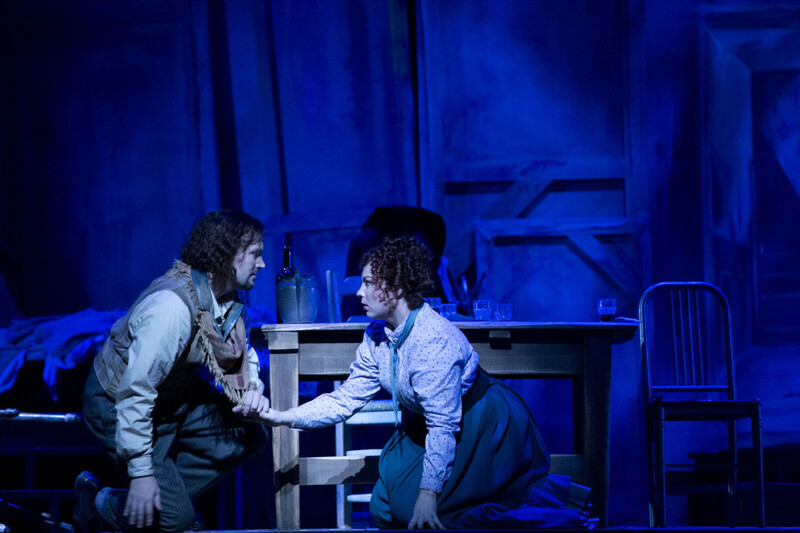 Over the next two weekends, singers from the Houston Grand Opera Studio (the company’s young artists program) are presenting three performances of Puccini’s classic opera La bohème, two at the Miller Outdoor Theatre and one at the Cynthia Woods Mitchell Pavilion in The Woodlands. We spoke by phone with HGO associate music director Eric Melear, who will conduct the opera. Houstonia: Are you excited to be conducting La bohème at Miller Outdoor Theatre this weekend? Eric Melear: Miller’s always great fun for the company to do, and it’s great to have a big audience, especially one that doesn’t always make it down to the Wortham Center. It’s great when the weather is nice, and it looks like it will be. H: Why is La bohème such a perennial audience favorite? EM: It’s a perfect first opera for people who haven’t been to one before. It’s a very concise story, and it’s less than two hours of music. It tells a very romantic, very heart-breaking story in a beautiful way, with wonderful music. I think that’s why people are drawn to it. H: Is it as fun to conduct as it is to watch? EM: Oh yes, absolutely. Conducting it can be tricky—that compactness means that there are a lot of quick turns and changes. But yeah, it’s a real thrill to stand in front of the orchestra and conduct for an appreciative audience. I’m a pianist as well, and I’ve played in the orchestra for many performances of La bohème. The last time was in 2011 for the Vienna State Opera. That was quite exciting—it was basically three days of rehearsal, total, and then five or six performances.